I was very pleased to see that my old employer, The Associated Press, finally did the right thing and apologized to a great correspondent who was wronged in 1945 as he broke the news about the end of the fighting in Europe. The apology came earlier this week on the 67th anniversary of the surrender of Germany. Settle in: There’s quite a story behind the story of the end of the fighting in World War II in Europe. 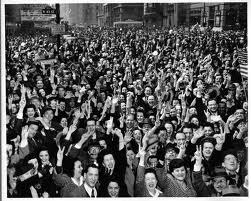 The date of the official celebrations was May 8, 1945, known as V-E Day, for victory in Europe. Much fighting remained to be done in the Pacific, where Japan was still refusing to recognize the now-inevitable Allied victory. In early May, 1945, the Supreme Headquarters of the Allied Expeditionary Forces (SHAEF) command selected 17 correspondents from the world’s press and flew them to Riems, France to witness the surrender on behalf of the rest of the press and the people of the world. There were very few Americans in the group. The ones who were there represented the big wire services and syndicates. In fact, not a single reporter representing a U.S. newspaper was present. It remains unclear what constitutes an “agreement” under such conditions (what were the correspondents supposed to do — get up and walk out of an airplane? ), but they proceeded to witness the ceremony. The press officer announced that orders had come “from a high political level” to impose a news blackout until 8 p.m. the next day, when the news would be announced simultaneously in Paris, London, Moscow and Washington. (Turned out, Stalin was insisting on the delay so he could make a show in Berlin.) In other words, all the correspondents who had been eyewitnesses would lose their scoops. Instead, some desk-bound rewrite man or editor would get all the glory. The reporters protested tothe SHAEF press officer, but to no avail. The political leaders had decided. 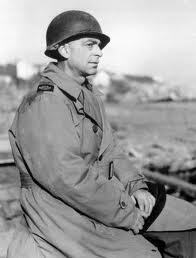 Ed Kennedy, the Paris bureau chief for the AP and a veteran of coverage of the North Africa and Italian campaigns. Among the press corps, one of the most upset was Edward Kennedy — not the late Democratic senator from Massachusetts but a man by the same name who was the chief correspondent in Europe for the AP. Bear in mind, Kennedy was in a special position. He had been burned earlier in the war when he cooperated with military brass. In 1943, Kennedy had agreed to suppress a story about Gen. George Patton and had gotten scooped by someone else. (See my book, Covering America, pgs 269-70.) Kennedy also knew that his account of the German surrender could probably reach more people on the planet than any other. He knew, too, that the AP thrives on being first and that throughout the ages, AP men (and a tiny but growing number or women) had gone to great lengths to be first to deliver the news. Besides, he figured, no embargo on such a momentous story could hold for that long. (Nor, perhaps should it.) He was still fuming when the correspondents were marched back onto the military plane. They were flown from Reims back to Paris. Still, the world knew nothing of the surrender. Still, soldiers in Europe kept shooting at each other. When they landed, Boyd Lewis of United Press got the first jeep from the airport to the Hotel Scribe in Paris, which had been serving as the outpost for most of the press corps. When Lewis got to the press center, he tried to tid up all the available telegraph outlets. Next in line was James Kilgallen of INS, who had beaten Kennedy to the spot by throwing his typewriter at Kennedy’s legs, slowing him down. Kennedy was beside himself. Then he heard that SHAEF had ordered German radio to announce the surrender. REIMS, France, May 7_Germany surrendered unconditionally to the Western Allies and the Soviet Union at 2:41 a.m. French time today. The surrender took place at a little red schoolhouse that is the headquaters of Gen. Dwight D. Eisenhower….. Within minutes, the news was flashed to the world, and wild celebrations began. SHAEF was furious and suspended AP filing facilities throughout Europe. The rest of the press corps was furious, too. More than 50 correspondents signed a protest to SHAEF Supreme Commander Dwight Eisenhower, calling Kennedy’s action “the most disgraceful, deliberate and unethical double cross in the history of journalism.”AP’s president apologized to the nation. AP brass told Kennedy he could keep his job if he admitted he had done wrong. He wouldn’t and was fired. What might seem amazing today — aside from the lack of cell phones and other forms of instant global communication — is how unanimously the correspondents fell in line with the military. Today, I dare say, U.S. reporters would be at least split about the ethics of something that they new to be both true and life-saving. I do not think that Kennedy imperiled the lives of any Allied soldiers by sending the story, as some of his critics have charged. He probably saved a few, because by withholding the announcement of an armistice you prolong the shooting, and, conversely, by announcing it promptly you make the shooting stop. Moreover, the Germans had broadcast the news of the armistice several hours before Kennedy’s story appeared on the streets of New York. . . The thing that has caused the most hard feeling is that Kennedy broke a “combination,” which means that he sent out a story after all the correspondents on the assignment had agreed not to. But the old-fashioned “combination” was an agreement freely reached among reporters and not a pledge imposed upon the whole group by somebody outside it. There’s a lot more to learn from Liebling’s piece, but that’s the nub. I wonder how Liebling would greet the news this week that the AP has finally apologized to Kennedy. I wonder how Kennedy, who died in 1963, would have greeted the news. (For more on Kennedy, see the newly published memoir Ed Kennedy’s War: V-E Day, Censorship, and the Associated Press. As for me, I say the AP was late — 67 years late.